Workshop on "Basics of Didactics and Intercultural Teaching Methods"
"The workshop “Basics of Didactic and Intercultural Teaching Methods” provides basic knowledge of higher education, such as the specifics of the commencement of a course, the role of leadership in higher education, and concept tools for planning. The participants will experience the functions of didactic methods – in particular through exercises and feedback. It is an interactive workshop involving the intercultural and interdisciplinary background of the participants." The workshop will be held in English, it is limited to 16 participants. Please contact Andreas Schneider (a.schneider@uni-leipzig.de) until 16 October if you are interested in participating. Our next colloquium on 18 October will be a Joint Colloquium with the project Law and Culture. The first meeting of the Working Group on how “distinctions“ (e.g. of concepts) and “differentiations“ (e.g. of social spheres) matter to people in their everyday life will take place next Wednesday, 18 October, 1 -3 p.m. For more information please contact Johannes Quack. The next meeting of the Working Group on Medicine and Religion will take place next Wednesday, 18 October, 2 - 3 p.m. For more information please contact Katrin Killinger. Marian Burchardt co-organises a Symposium on "Urban Risk and Religion: Economy, Health and Security" on 17 November 2017 at the University of Amsterdam. Please register at urbanstudies@uva.nl if you would like to join. Conference on "(De-)secularization and New Religiosities through the Prism of the Turkish Case"
The final conference "(De-)secularization and New Religiosities through the Prism of the Turkish Case" of the ANR-DFG funded NEORELIGITUR Research Program (30-31 October 2017, EHESS, Paris) is organized around three paradigms explaining the emergence of new religiosities in Turkey: secularization/re-enchantment, individualization, and localization/globalization. The conference will be an opportunity to test some of the major categories and theories employed in the history and sociology of religions as developed for the Western case of the emergence of new religiosities. For inquiries please contact Katja Triplett. 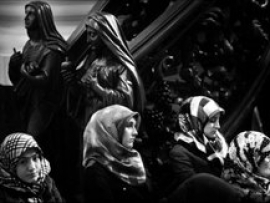 On 25 October, Cinémathèque Leipzig shows the movie "Istanbul United" (Turkish with German subtitles). A documentary about Turkish football ultras and their role in the 2013 protests in Istanbul. 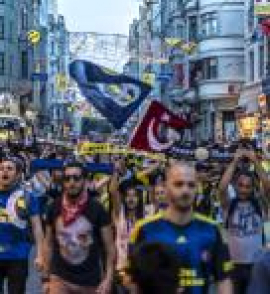 Following the movie there will be a talk with journalist Volkan Ağır on football in Turkey and the role of fan culture between mass consumption and resistance. Markus Dreßler will translate during the Q&A.